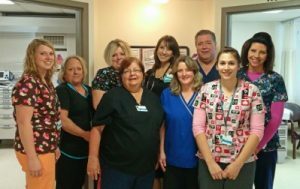 Lauralee Sprague, NP, spoke to women at the Valley Pharmacy in Gowanda in May as part of National Women’s Health Week. Thank you for hosting us, Valley Pharmacy! Sprague sees patients in the Bertrand Chaffee Hospital Heart Center, located on the hospital’s first floor. For an an appointment, call (716) 592-9644. Leg vein screenings by Bertrand Chaffee Hospital Heart Center providers and staff. Featuring blood pressure screenings by the Arcade Volunteer Fire Department. Appointments required – call (716) 592-9644 to schedule. Coordinated by Bertrand Chaffee Hospital, Bertrand Chaffee Hospital’s Heart Center, and Arcade Volunteer Fire Department. Due to popular demand, Bertrand Chaffee Hospital is extending its blood pressure classes for BCH Primary Care Center and BCH Heart Center patients. 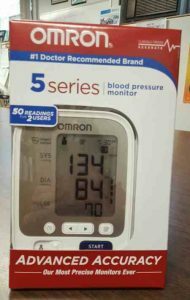 Participants receive a free blood pressure cuff and journal. Sometimes, patients may have “white-coat syndrome,” where nervousness or anxiety about seeing a healthcare provider can lead to an elevated blood pressure reading. A running log, kept at home in a familiar environment, provides very useful data about whether that is the case or not. All classes are held at Bertrand Chaffee Hospital, patient education classroom (basement). The class is free for all Bertrand Chaffee Hospital Primary Care Center and Heart Center patients, but registration is required. Call (716) 592-9643. The Bertrand Chaffee Hospital Foundation’s fifth annual Garden Party is planned for Thursday, May 25 at the Springville Country Club. 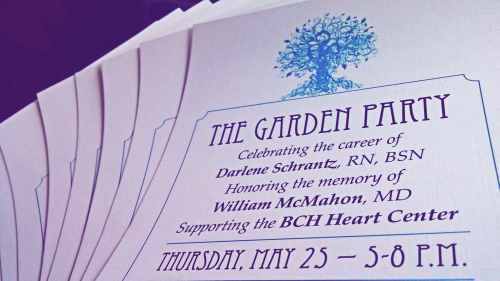 The foundation’s board is pleased to announce that the event will celebrate the career of Darlene Schrantz, RN and honor the memory of Dr. William McMahon. Schrantz retired from Bertrand Chaffee Hospital in March after a 44-year career in nursing. Dr. McMahon was a longtime physician in Springville, who passed away in 2016. As the major fundraising event for the BCH Foundation, the Garden Party is a way to focus community support on a single project. The foundation board will use this year’s event to help fund the purchase of a TEE – transesophageal echocardiogram. This equipment will be used in the BCH Heart Center. The Garden Party starts at 5 p.m. and concludes by 8 p.m. 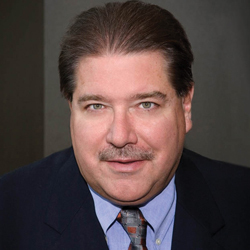 The Springville Jazz Orchestra and Hintz of Thunder will provide the musical entertainment. Tickets are $50 each or $80 per couple and are available at the BCH reception desk. For information and sponsorship opportunities, call the Bertrand Chaffee Hospital Foundation at (716) 592-2871 ext. 1485 or email Kara Kane at kkane@bch-jbr.org. The addition of this procedure is a collaborative effort between the hospital’s Imaging Department and cardiology team in the Heart Center and Leg Pain and Vascular Center. BCH offers this treatment as an outpatient procedure, and began scheduling screening visits in December.